Property 37: Modern Home! Private Garden! 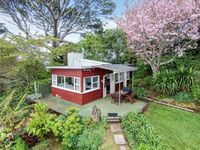 Property 44: Cheap, Cosy and Comfortable house in Auckland, New Zealand. Property 47: Newly build luxurious apartment. Stylishly furnished contemporary home. This place is safely tucked away at the rear of the property. The family are super welcoming and we chat when using their kitchen facilities. The place is clean and well presented. I would recommend a stay here. A big thanks to our hosts!